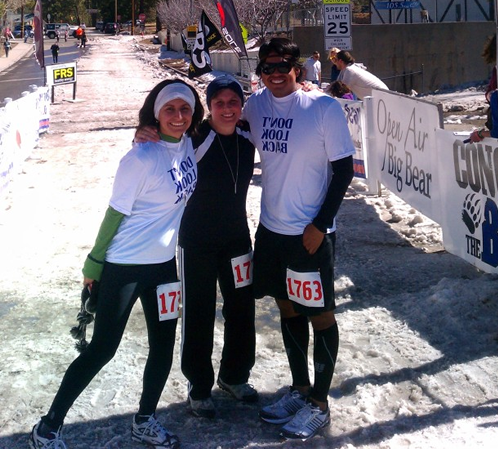 The Fawnskin Folks known as the Guzman clan made a big splash over in Big Bear Lake at the Snowshoe the Bear race. Seriously, just a few days ago it was so hot that there were puddles at the race starting and finishing point. Too bad the snow we had yesterday didn’t hit earlier but that didn’t seem to deter the four different generations participating in the race. It is always a pleasure to see the Guzmans here in Fawnskin. There is a lot of laughter and energy spread through town when they are around. This time they brought up a grand-daughter, grand-son and two great-grand-kids which made things a bit more interesting. 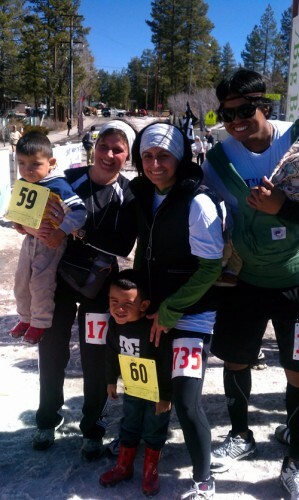 The sun was shining down on everyone during the race but the wind chill kept everyone bundled up for the most part. 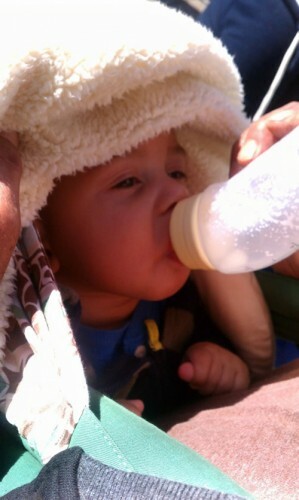 Charlie was toasty but wasn’t feeling to swift this trip. Fortunately, it was only temporary and I’m sure he would have been happier supervising everyone if he was up to it. But the boys, Josh (2) and Nathan (3) did a good job entertaining everyone and keeping the family on their toes. It is likely we will see the entire clan again soon in another race of some sort. Okay, off topic…if you have not heard, Highway 330 will be closed Wednesday, February 29th and Thursday, March 1, 2012 from 8:30am to 2:30pm each day. Night…I’ll be back on Thursday! This entry was posted on Tuesday, February 28th, 2012 and is filed under Mountain Lake Resort. Ahhh! What a nice article of the family! 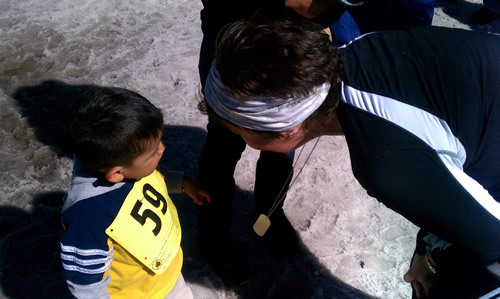 Thanks for coming to the race and being our friend! Wait! You mean I am a friend and not part of the family? 😉 Always a pleasure.